A-Frames are three sided aluminium frames covered on two sides with fabric for branding. The A-Frame is lightweight and easy to assemble. The fabric prints are easily interchangeable on the A-Frame. 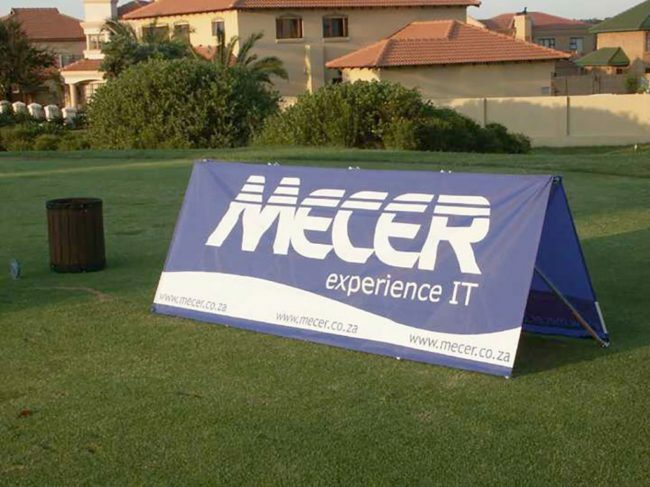 Use A-Frames for outdoor events, conferences and product launches.